Breakups are often painful, but they rarely lead to an international conspiracy — unless you’re 30-something Audrey, who just got dumped via text by unassuming Drew. This is the basis for THE SPY WHO DUMPED ME, a new action-comedy you’ll want to share with your besties six days early, exclusively at AMC. Get your tickets to our Girls’ Night Out event, July 27 at 8 p.m., and receive a free wine glass. 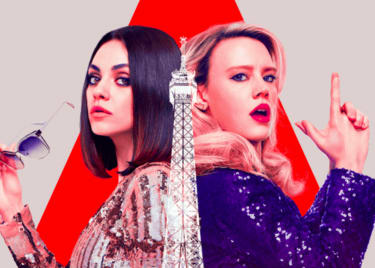 Starring comedic powerhouses Mila Kunis and Kate McKinnon, THE SPY WHO DUMPED ME takes audiences on a wild, continent-hoping caper with two best friends, who have no idea what they’re doing. They’re not experienced spies, nor are they particularly savvy. They unwittingly become involved in a high-octane — and hilarious — undercover mission, after Audrey’s (Kunis) CIA ex-boyfriend (Justin Theroux) shows up at the friends’ apartment with a team of deadly assassins on his trail. Surprising even themselves, Audrey and Morgan (McKinnon) jump into action when two men are shot dead on their floor, grabbing a top-secret thumb drive and taking off on a European adventure with a suspicious but charming British agent (Sam Heughan). 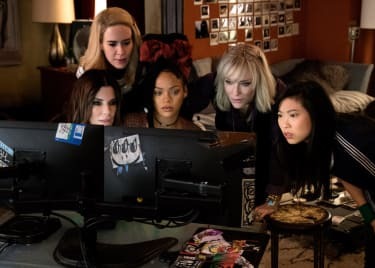 Kunis described THE SPY WHO DUMPED ME as the lovechild of Jason Bourne, Ethan Hunt and “I Love Lucy.” Though the film delivers a lot of laughs, the action is no joke. The stars even performed some of their own stunts under the direction of veteran stunt coordinator Gary Powell, who has worked on several JAMES BOND films. We think you’ll love them, too. 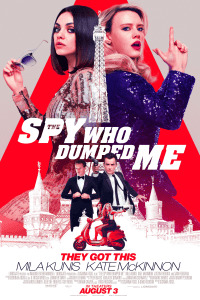 Get your tickets to THE SPY WHO DUMPED ME at AMC today.